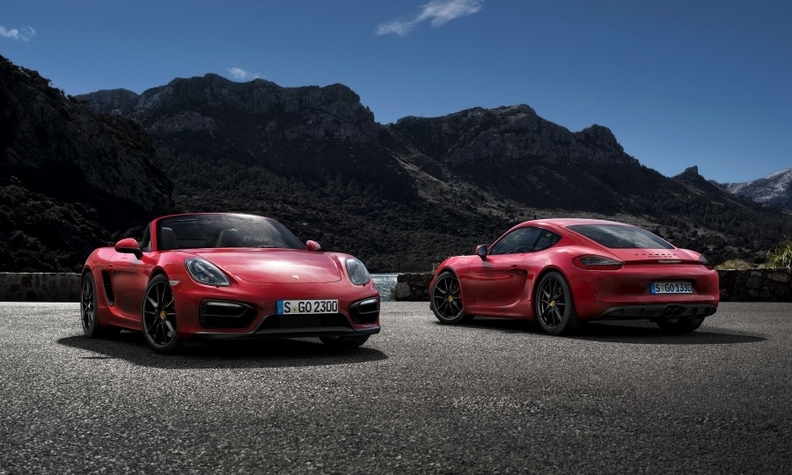 Production of the Boxster, left, and Cayman, right, will be consolidated in Zuffenhausen. FRANKFURT -- Porsche plans to consolidate production of its Boxster and Cayman sports cars at its main plant in Zuffenhausen, near Stuttgart. The move follows Porsche's decision to use parent Volkswagen Group's factory in Osnabrueck, northern Germany, as an overflow facility for production of the Cayenne SUV. Osnabrueck will build 20,000 Cayennes annually starting next summer to relieve pressure on Porsche's Leipzig factory, the main production plant for the Cayenne. Currently, the Osnabrueck plant builds some Boxster models when the Zuffenhausen factory is overloaded. Porsche said it will invest more than 400 million euros ($546 million) in Zuffenhausen for additional Boxster and Cayman production. The factory also builds the 911 and 918. "All two-door Porsche models will come from Zuffenhausen in the future," Uwe Hueck, the head of Porsche's works council, said in a statement today. Porsche said three quarters of the investment would be used for a new facility in Zuffenhausen to build car bodies. Overflow production for the Boxster and Cayman will continue at Osnabrueck until 2016, Porsche said.